India is definitely the fastest growing e-commerce market right now. However, it is getting tougher for the online players to establish themselves in the vast herd of e-commerce firms trying to grab a piece of this market. With competition rising, several reputed and established e-commerce companies are opening physical stores to stand out in the already over flowing retail space and to add credibility to their business. 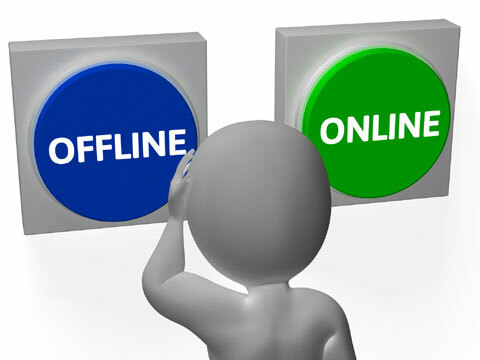 Online players opening offline stores is the new trend which is becoming prominent right now and will remain so in the years to come as it provides an opportunity to their customers to touch and feel their products in the real time and take a better informed decision about their purchase. However, these trends are not overruling the presence of online stores but are advocating a more ‘hybrid’ model of retail which asks a retail firm to have both online and offline presence. According to experts as well, companies are realising that for a lot of product segments like apparel, spectacles and jewellery, customer acquisition can increase with a physical store. Moreover, it also helps in creating more brand awareness. Having said this by the majority of e-commerce firms, it is important that both online and offline players pull their weight and play to their full strength and capabilities in the emerging Indian retail landscape. For online players, it has to be reduced customer acquisition cost, wider assortments and right price points. For retailers, it is trust, instant gratification, service and environment. Bringing both together can create a solid customer proposition in place.